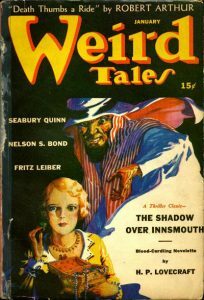 Cover of the pulp magazine “Weird Tales” (January 1942, vol. 36, no. 3) featuring “The Shadow Over Innsmouth” by H. P. Lovecraft. Cover art by Gretta, Author: Weird Tales, Inc.. Still huddled under the covers reading scary books? Good! There are more ghoulish and ghostly tales that await you. Oh, and if you haven’t read part 1 of this blog, you might want to begin there. Did Dracula really say, “Blah…blah…blah!”? Perhaps there’s a clue in the latest 2018 Dracula novel. “Dracul,” a prequel to Dracula, has been written by Dacre Stoker, the great-grand nephew of the legendary Bram Stoker. It’s a supernatural thriller revealing Dracula’s true origins, as well as Bram’s. 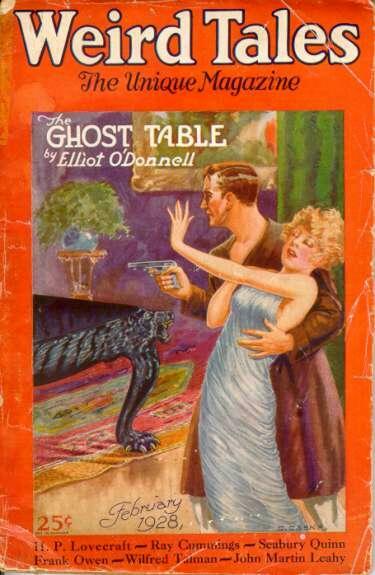 However, this tale has a twist; a young woman named Ellen Crone, Bram’s childhood caretaker, appears to be a magnet for trouble, and somehow connects him to Dracula himself. Another popular author on the vampire scene is Anne Rice, whose “Blood Communion: A Tale of Prince Lestat (Vampire Chronicles)” takes readers on an adventure of rival vampires, an evil demon determined to stir up trouble, and how Lestat became prince of the vampire world. “The Essential Tales of H.P. Lovecraft“ is a collection of the famous Rhode Islander’s popular stories (e.g. The Shadow Out of Time, The Shadow At Innsmouth, The Call of Cthulu, etc.). “The Call of Cthulhu” (1926) is a short story about a group of cultists’ attempt to revive the hideous monster Cthulhu. “The Shadow At Innsmouth” (1931) is a horror novella set in New England where a species of fish-like humanoids have taken over the local town. In “The Shadow Out of Time” (1926), a series of notes describing a hybrid creature of octopus, dragon, and human is discovered. Soon thereafter, the main character stumbles upon a society of cult worshippers who are using their influence to conjure up the abominable creature. 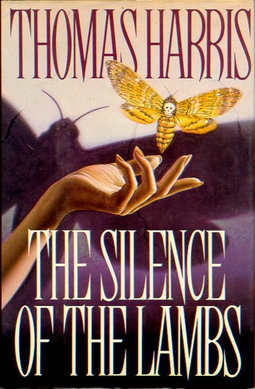 (Silence of the Lambs, Thomas Harris,1988). The book cover art copyright is believed to belong to the publisher, Delacorte Press, or the cover artist. One of the most chilling books ever composed in the 20th century is “The Silence of the Lambs” (1988), by Thomas Harris. This gruesome story actually begins with the prequel “The Red Dragon” (1981), in which a retired FBI profiler returns to investigate a cannibalistic serial killer, Dr. Hannibal Lecter. The book led to an Academy Award-winning film of the same name. If you like any of these selections, there are many more horror fiction books available. Search online in Catalyst or crawl through our library stacks…if you dare! Movies & Books to Sink your Teeth into!